For the last ten years, China’s gold industry has dramatic development in the whole value chain, such as exploration, mining, smelting, designing, production, consumption and investment. China is one of the largest consumers and producers of gold in the world. China has been the largest gold producer, and since 2013 China is ranking the largest gold consumer. China also keeps the second largest gold reserves worldwide. China’s gold mining industry plays an indispensable global role. With the further development of Chinese economy and consumption increase in the domestic demand for gold, China will certainly emerge as the most active investment and consumer market guiding the future direction of the gold mining industry. Varies of communications of gold industry of China and abroad have been enhanced. With more impact on the world gold industry, China is the active strength to promote the healthy development of the industry and market, especially with the leading force of production, consumption, producing and imports & exports. With the integration of globe economy, the development of the world's gold industry cannot be separated from China, and China also cannot be apart from the international communication and cooperation. China gold industry if willing to cooperate and therefore promote the harmonious, healthy and sustainable development with the world gold industry, especially on Resources Development, Technology Innovation, Safety and Environmental Protection, Equipment Appliance, Gold Market. 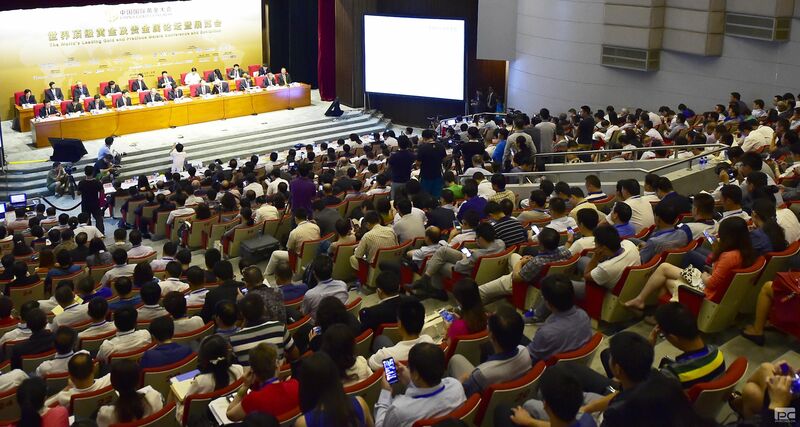 China Gold Congress and Expo consists of three streams, Gold Mining, Gold Investment Market and Gold Consumption. The activities of China Gold cover the entire mineral value chain. That includes gold mining, smelting and processing, market trend forecasting for gold investment, gold consumer products, particularly jewelry design and technology. China Gold is committed to continually promoting the international cooperation and rapid growth of the Chinese gold industry. Representatives from investment banks and institutions, commodities and futures exchanges and brokers, internationally renowned jewelry companies, and consulting firms will also be present. This rich array of participants ensures that our upcoming event providing the best full-service gold industry platform for mutually beneficial cooperation in the gold industry. Chinese top four gold producers, two gold exchanges and main investment banks, ten well-known gold consumption brands, and investment organizations will also exhibit at China Gold. 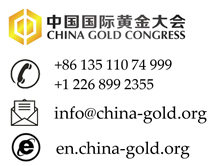 China Gold will be the biennial gathering and delivering center of China gold industry and market information. As the largest precious metal Event in China, China Gold is the premier display platform for gold in the country. In addition to performing this function, the exhibition is the platform for showcasing gold industry trends and promoting investment and trading in gold. China Gold Congress and Expo, the Chinese platform of the global gold industry and global stage for China's gold industry, welcomes you to China Gold Congress and Expo.